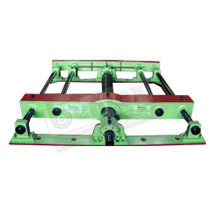 We are a prominent manufacturer of Mechinical Pusher that is renowned for its efficient performance and developed with the help of effective technology. These kind of products are generally installed in the backside of the furnace in a rolling mill. The pushers are delivered completely assembled with all seals and fittings to match your installation equipment and pressure tested to endure against leaks. Imported Tapered/ Spherical Roller Bearings.